How do you make the highest splash? My project looks at the physics and variables involved in making a splash. 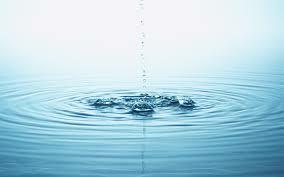 I have focused on measuring the "jet", or vertical splash, of an object dropped into water. After isolating the variables of weight, volume, and surface area of an object, I predict that it is surface area that will produce the highest vertical splash. I have conducted both laboratory trials and human field trials. The laboratory trials used four marbles that all weighed the same 4 grams, but had different densities, volume, and surface area. I used a stand with a grabber to drop the marbles into a pre-measured volume of water 20 times each. Each marble drop was filmed on video and was cut down and the highest point of each splash was found and measured. The human field trial used one human with same weight, density and volume, jump into a pool a total of 45 times. These jumps consisted of 15 trials of 3 different styles of jumping creating 3 different surface areas. Again each jump was measured and the vertical splash height was recorded. In human trials, the can-opener dive (greatest surface area) had the highest vertical splash on average. The cannonball dive (medium surface area) followed with the pencil dive (small surface area) having the shortest vertical splash. Similarly, three out of four ball trials showed that the height of the vertical splash increased as the volume and surface area increased. These ball trials also showed that as density increased, vertical splash height decreased. One of the ball trials, ball d, completely contradicted all other findings. Its average vertical splash height went up as its density went up and vertical splash height went up as surface area and volume went down. I conclude that the surface area of an object dropped into water does affect the height of the vertical splash more than the objects weight and volume. My hypothesis that the increased surface area would produce an increased vertical splash was proven correct in the human trials. When tested in the laboratory with marbles, the data shows that 3 out of 4 trials were consistent with this hypothesis. The fourth trial had contradictory data which I believe could be as a result of the high density in comparison of the low surface area of the small marble.